The Halloween candy hasn’t even been marked down yet, but already Christmas tidings have started to make their way into our commercials, from which they will eventually spread into our everyday lives. But if you’re already planning your annual ugly sweater party or Secret Santa gathering, this news will be as welcome as carolers: Deadline’s caught wind of the first (announced) celebrity-hosted holiday special of the year. 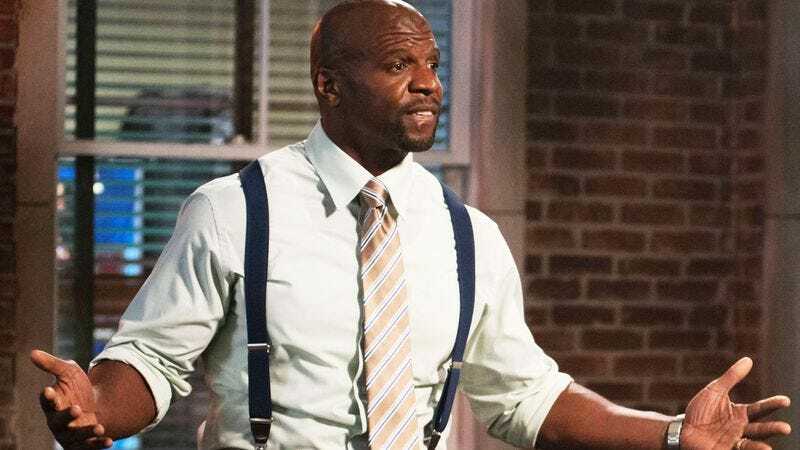 Terry Crews will be ho-ho-hoing it up for The CW in Terry Crews Saves Christmas. The weeklong event will begin on December 20, running an hourlong episode every day until December 23, when it will present viewers with a two-hour finale. Crews’ ripped physique has been tasked with rescuing Christmas from the “hopeless holiday enthusiasts” who don’t know the difference between Sinterklaas and Père Noël. A team of holiday-party professionals will be in tow to ensure that the stockings are hung by the chimney with care. Deadline doesn’t mention how recipients of Crews’ good cheer will put themselves in the running for a dressing down on proper Christmas fêting, so perhaps Crews will just pop into their homes à la his Old Spice commercials. Or maybe he’ll take a cue from The Simpsons.